If you’re a fan of Improvely like we are, then you’ll be happy to know that we have now developed a way to track your SYNCRO chat conversions within this handy conversion tracking and click fraud monitoring software. 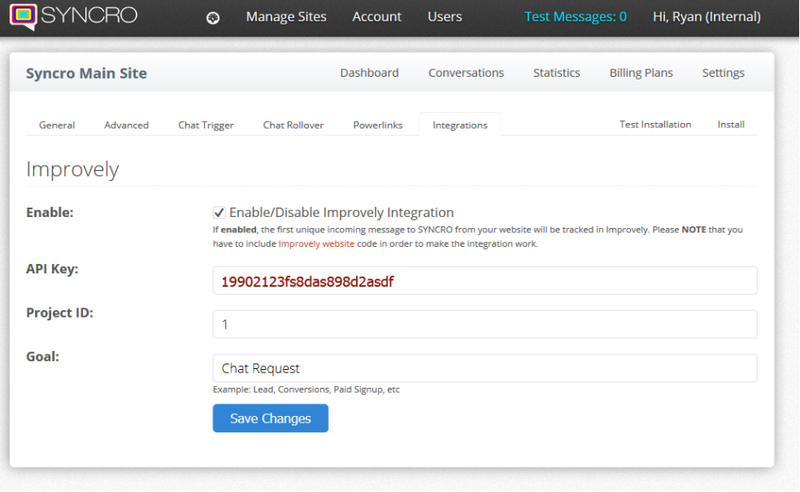 If you are using IMPROVE.ly you can now track your chat requests as conversions! We all know how valuable leads are, even if they are support related – well now by integrating with IMPROVE.ly you can track all of your chats. Lastly, enter the projectID (website) you want to track chats for! That’s it! Now you are tracking chats from SYNCRO in Improve.ly!